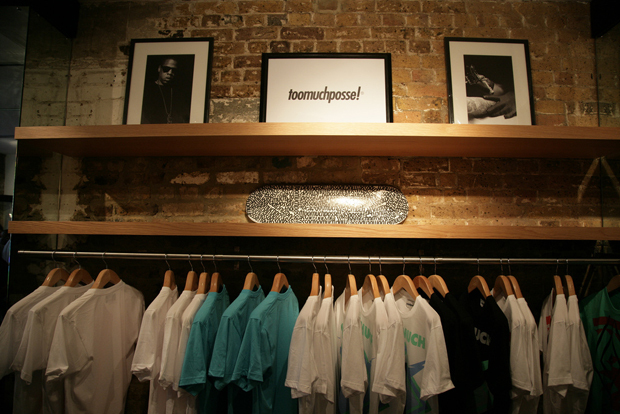 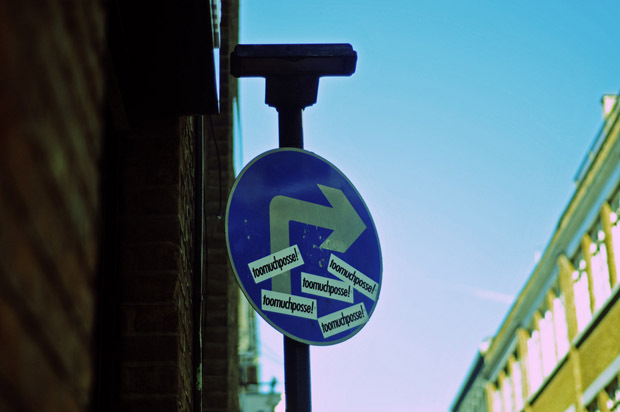 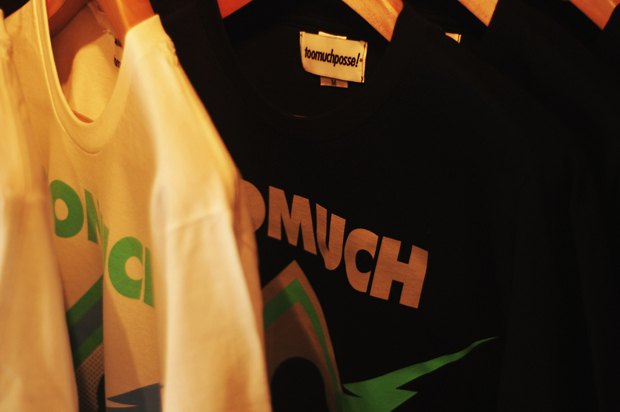 This past week, the guys behind UK brand Toomuchposse got together with independent streetwear boutique Wholesome to throw a bit of a street party in celebration of their summer collection of T-shirts. 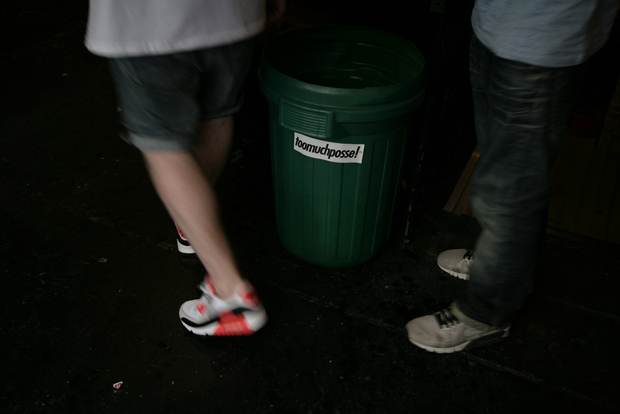 Unfortunately we couldn’t make it down to the event, but TMP have stepped up and provided some photographic evidence of how it went down. 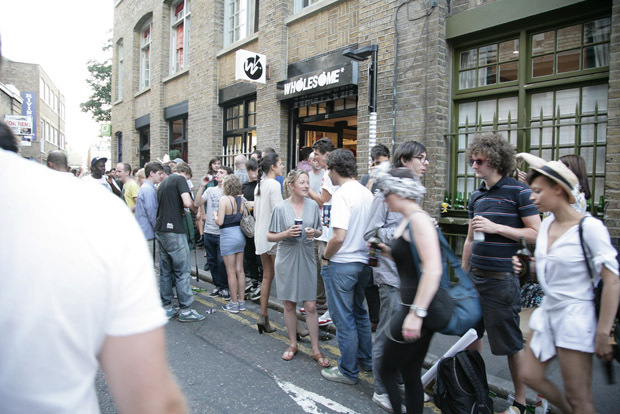 Plenty of people came out to shut down Rivington Street, pick up pieces of the new collection, enjoy a drink on the street and even get tattooed. 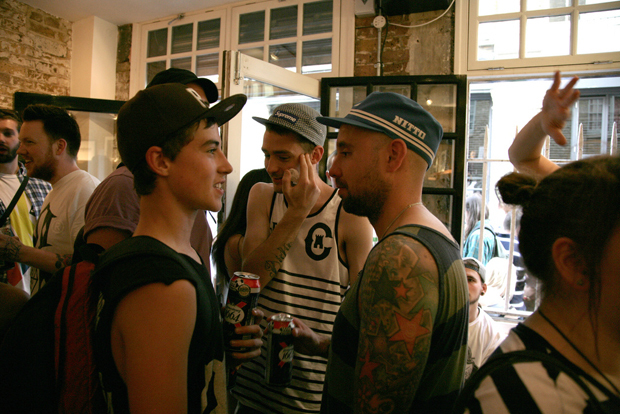 Luke ‘Fudge’ Kempton of New Skool Tattoos was on hand to ink the skin of anyone daring enough to sit in his chair, and it appears a few were man enough to step in. 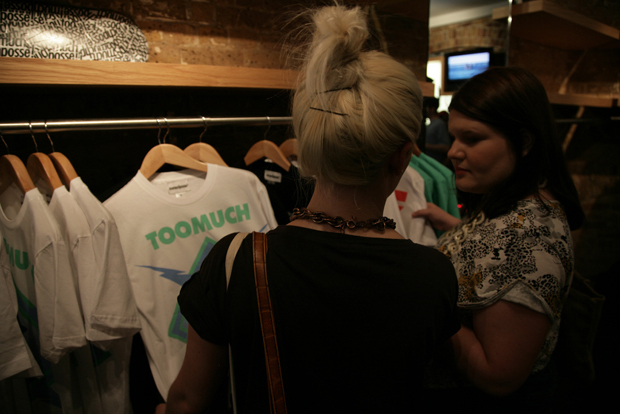 Check below for some photos of the event and those who didn’t make it down can expect to see full images of the new Toomuchposse collection right here in a few days. 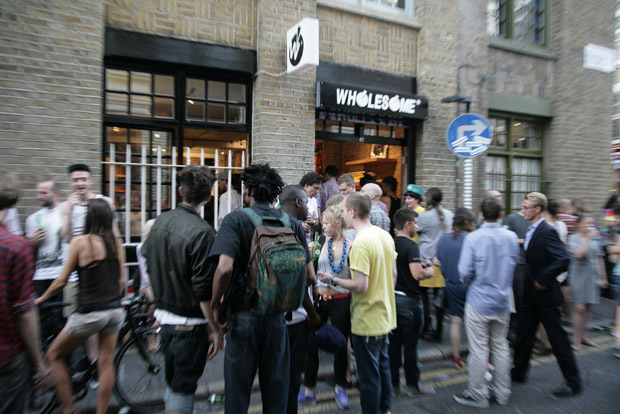 It was too much, gutted i didn’t see that young chick in the Nikes there!